I haven’t been to my office in several days and I am therefore suffering from a terrible case of beach withdrawal. Wind, rain, and a cold have converged to create the perfect storm to keep me at home and, unfortunately, sedentary, since the beach is also my gym. 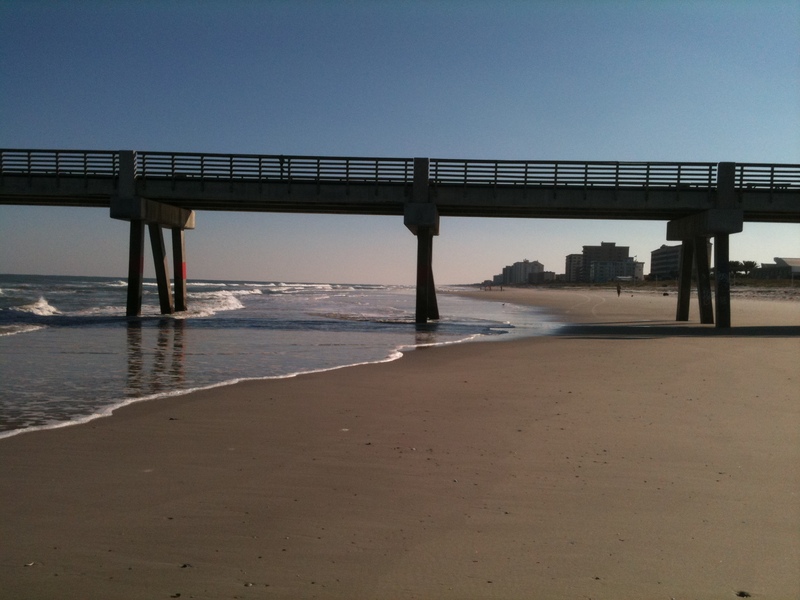 The is my usual view of the pier at Jax Beach as I walk under it. 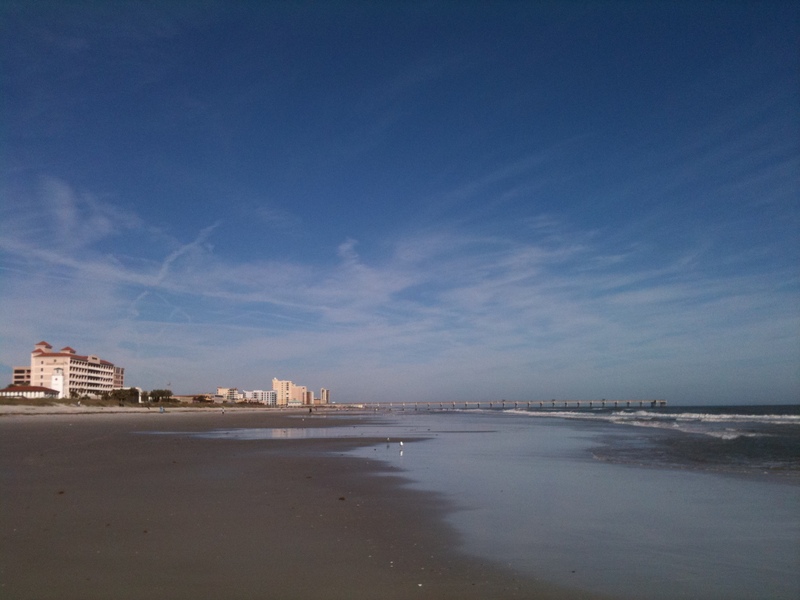 The pier attracts fishermen and people who want a long range view of the ocean and the beach. It also attracts waves, apparently, since most of the surfers congregate on either side of it. 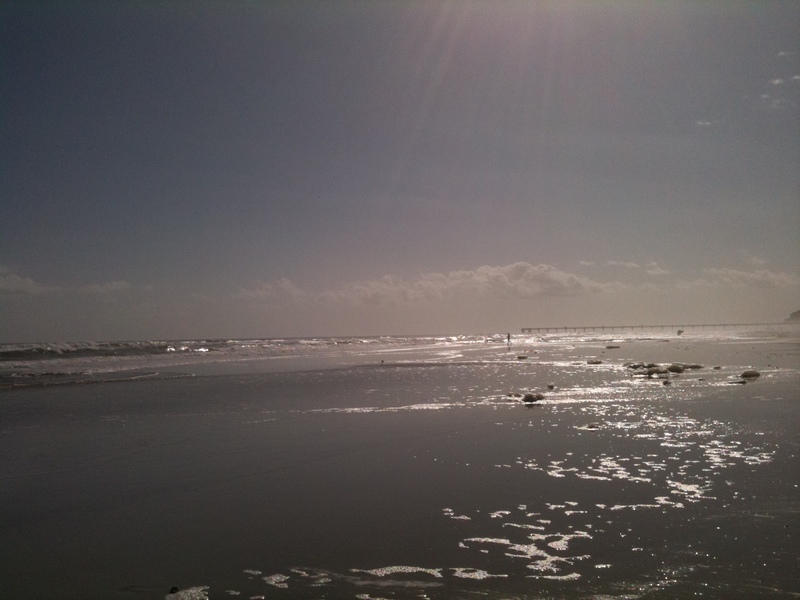 Some days the beach is extra sparkly. Those are beautiful and inspiring days. As the tide goes out, my work space expands considerably. This does not necessarily mean that I get more done, however. A bigger office isn’t always better? In the interest of getting more done, this will have to do for a beach fix. I may be out of the office today but I still have to work.